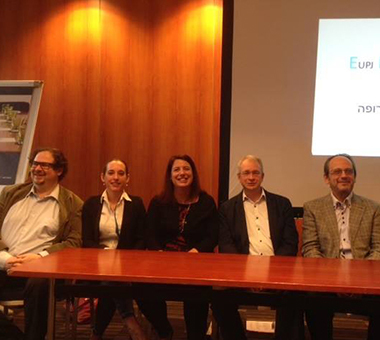 The ERA board (left to right) Marc Neiger, Charley Baginsky, Celia Surget, Menno ten Brink and Ruven Bar Ephraim. For many years there was a need felt by Progressive rabbis serving Liberal and Reform congregations across Europe to create a structure that would bind them together and offer support. In the past there were rabbinic meetings for European Rabbis organised by ad hoc committees but an independent organisation never emerged. However, in the spring of 2016 ERA was officially formed. 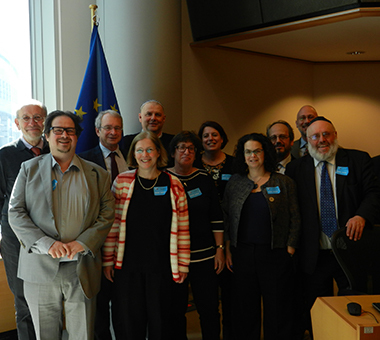 ERA is designed to provide an additional support network for rabbis working in Europe and serving EUPJ communities and institutions. It will not interfere with, or replace, the current local rabbinical groupings.